Starting the season with Pittsburgh, Brassard was traded to Florida and spent 10 games with the Panthers before landing in Colorado in time to help the Avalanche’s late-season surge to clinch the Western Conference’s eighth and final playoff berth. Brassard is also re-adjusting to center after playing on the wing in Florida. 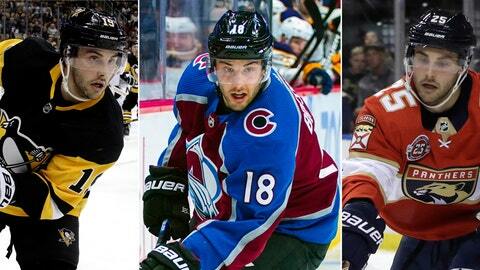 Brassard’s acquisition — Colorado gave up a third-round draft pick — wasn’t the most notable of the day. And yet it was a reflection of numerous teams’ approach to addressing needs before making a final playoff push and beyond. The trades don’t include various deals struck in the days leading up to the deadline, such as Columbus’ addition of Matt Duchene and Ryan Dzingel in separate swaps with Ottawa. And while other teams were wheeling and dealing, teams such as Presidents’ Trophy-winning Tampa Bay elected to stand pat. The Lightning roster was already deep and talented at all positions. The Jets’ additions failed to push them ahead of the Predators in the race for the Central title, though they were enough to keep Winnipeg ahead of the late-charging S. Louis Blues. Winnipeg was a point behind Nashville on Feb. 25 and finished the season in the same position. “They’ve meshed in,” Cheveldayoff said of the newcomers. Hagelin, a trusted two-way forward, had three goals and 11 points in 20 games with the Capitals after combining for just eight points in 38 games split between Pittsburgh and Los Angeles. Jensen’s addition is even more important with defenseman Michal Kempny sidelined with a lower body injury.